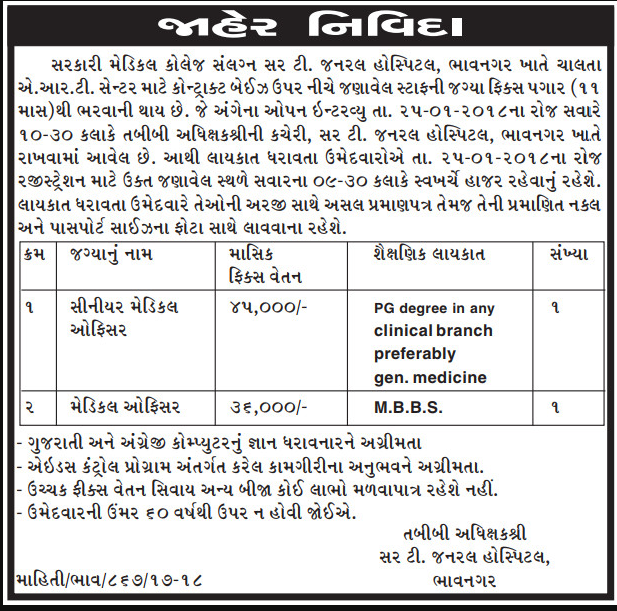 General Hospital, Bhavnagar has published Advertisement for below mentioned Posts 2018. Other details like age limit, educational qualification, selection process, application fee and how to apply are given below. 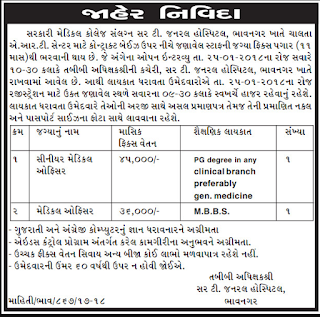 Venue: Office of Medical Superintended, Sir T. General Hospital, Bhavnagar.